Those morning when the kids (or I) just don’t have it together and breakfast has to be “on the run”. In the car. There, I said it, they have eaten breakfast in the car, on the way to school, a lot. 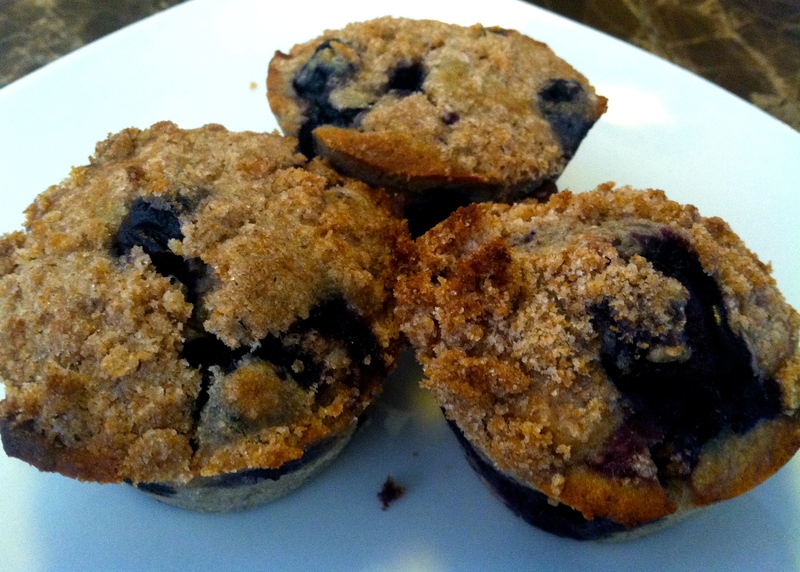 These are a bit healthier take on a muffin with the wheat flour, vanilla almond milk and twice the blueberries than you will find in most recipes, there is a A LOT of fruit in there! Mix together all the dry ingredients in one bowl and all the wet in another. Combine and mix well then add the blueberries and stir. The extra blueberries are what make this recipe so good, there will be fruit in every bite! For topping, mix gently with a fork and sprinkle over the muffins before baking. Bake at 400 for 20-25 minutes. Simply Delicious Turkey Bacon and Egg Muffin Perfect warm or cold for on the go mornings and post workout snacks! 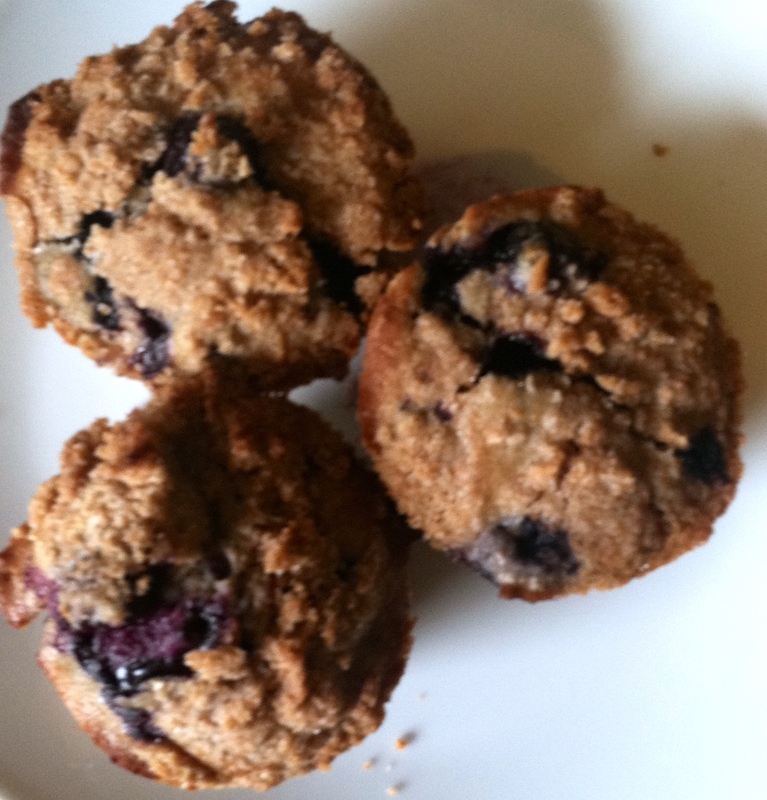 Another muffin for those on the go mornings…these are awesome because they are actually good hot or cold! I have been known to grab one for a quick protein fix after a long run, generally I have run myself out of time for the next thing and I need to refuel fast! The kids like them for a change from the usual carb filled breakfast–let’s face it, most on the go breakfasts are carb heavy! Simply stir the above ingredients and pour into a muffin pan sprayed with nonstick cooking spray. I fill each 3/4 the way and then use a spoon to scoop a TBSP of the heavy bacon and cheese that accumulates in the mixing bowl. This will put them just below the top of the muffin cup or nearly full. For those of you who would like them for on the go and like ketchup on their eggs, I have one of those here, consider putting about 1/2 TBSP ketchup as a “frosting” (think meatloaf) about 20 minutes into cooking when the top has formed a layer (so it doesn’t all seep in). **I like to season my turkey bacon for added flavor. A house favorite is Grillmates Smokehouse Maple. A spicy pepper blend works well for pairing with pepper jack cheese for the spice lovers. Regular bacon or crumbled sausage works, too, but we like to stick to the turkey variety here. ***You may certainly add your choice of veggies to any egg muffin. Keep in mind if you are using veggies you may want to cut back your milk a tad as they tend to add moisture and make a crumbly muffin. 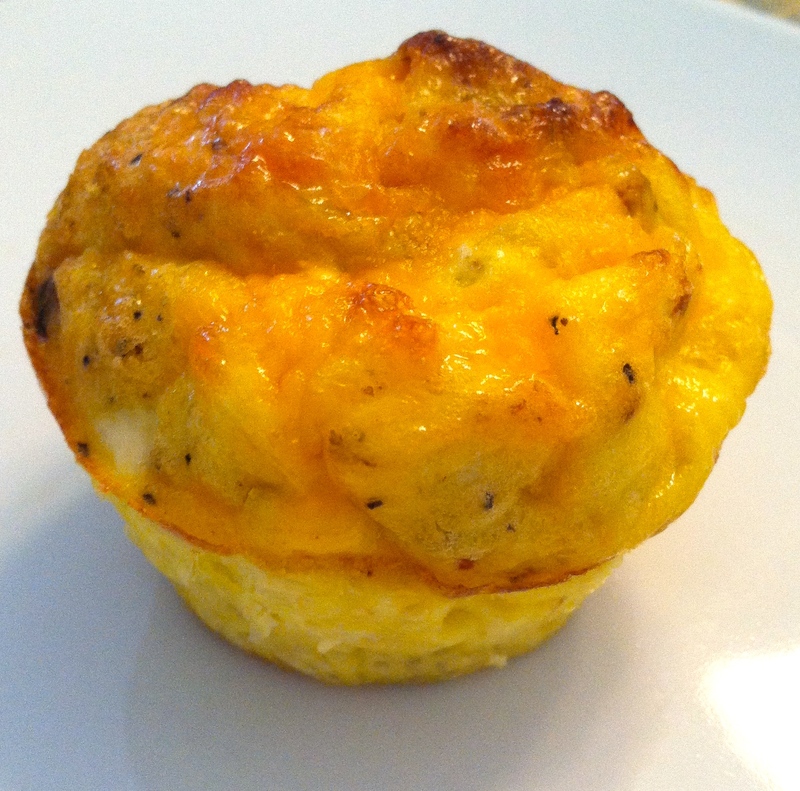 I will provide specifics with my upcoming garlic, spinach and feta egg muffin recipe. I like the turkey bacon and egg combination for on the go as it tends to stay intact and I like less mess!